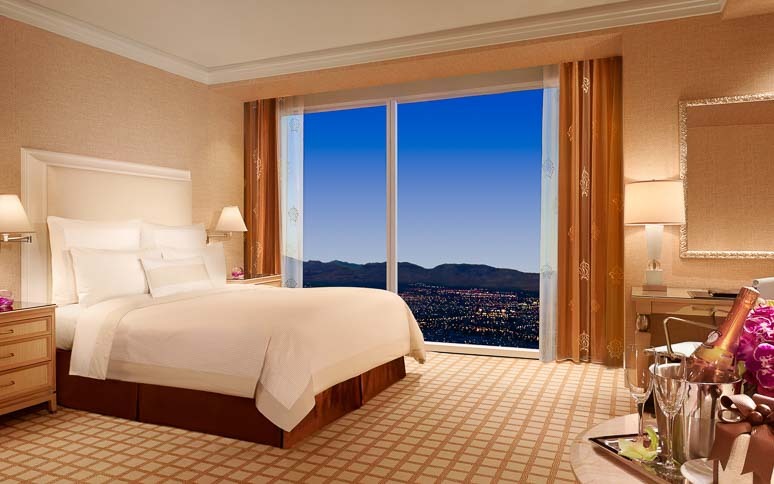 The Wynn Panoramic View King room combines the comforts of a Wynn Resort room with views of The Strip or the Las Vegas valley from the 28th floor or above. Choose to enjoy the Panoramic View with one King or Two Double Wynn Dream Beds. The roomy marble bath with deep-soaking tub, glass-enclosed shower, 13" LCD TV and plush terrycloth robes provides a serene retreat. 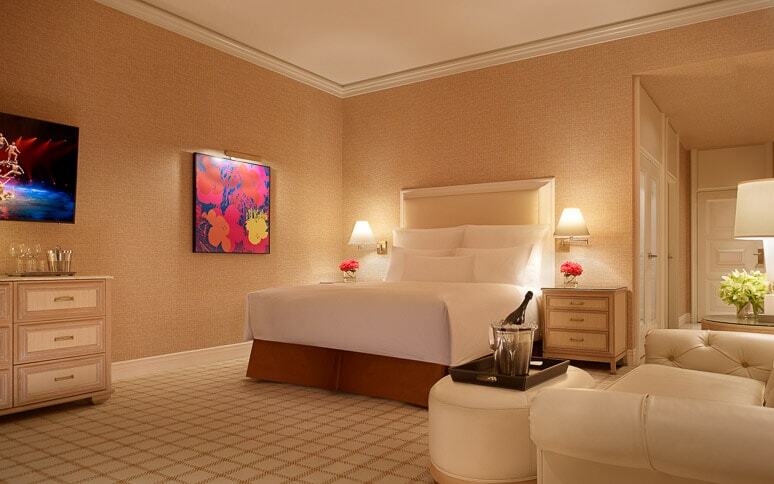 The 640 square-foot room pairs two double pillow-top Wynn Dream Beds with a living area that has a 55” HDTV, desk with leather chairs and a minibar with snacks and treats. A bedside console charges your phone and controls lights, draperies and suite privacy. Valet or self-parking is always complimentary for registered hotel guests, without limitation. 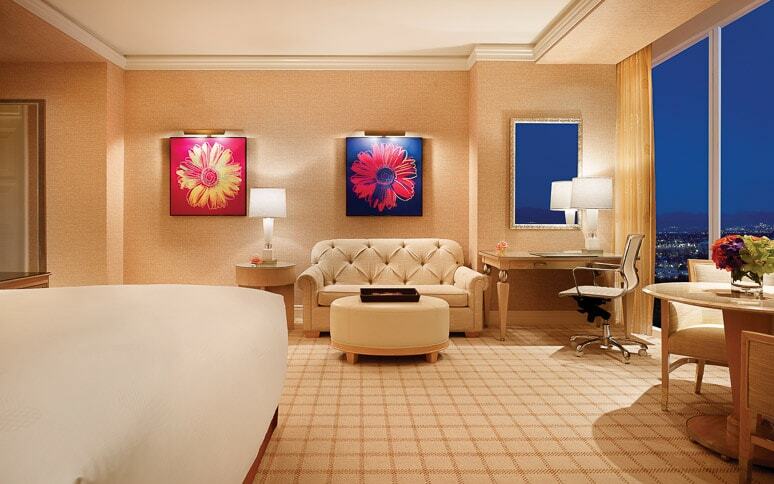 Our Wynn Rate Promise to you is that the rates offered here on our website are the lowest available anywhere online. You will be able to easily modify or cancel a reservation as well as access additional options like early arrival, room upgrades, or late check-out. Your online reservation details are immediately available to our guest services team who are standing by to provide you with one-on-one assistance, should you need it. You will be able to view all applicable charges when making your reservation, and you'll have the assurance of knowing exactly what the total cost will be. Your previous reservations are also saved, allowing us to create a more convenient experience for you when you are ready to visit us again. A valid credit card is required to confirm your reservation. One night's room rate and tax will be charged at time of booking. Cancel 72 hours prior to arrival to avoid penalty of one night's room rate and tax. For more information about this offer, call (877) 321-9966. This spring, we’ve got your travel covered. Click back and relax, because for a limited time, we’re offering significant online savings on your next visit to Wynn Las Vegas. Take advantage of once-a-year pricing on our luxuriously appointed Wynn and Encore Resort rooms, and our Forbes Travel Guide Five-Star Award-winning Tower Suites. These savings can only be found online, and they apply to any available date you choose, including weekends. Plan to stay during the following dates for the best rates of the special. Cancel 48 hours prior to arrival to avoid penalty of one night's room rate and tax. Stay in one of our elegant Resort Rooms or Forbes Travel Guide Five-Star Award-winning Tower Suites and receive $30 per day in resort credit up to $300 per visit. Resort credit can be used at your choice of restaurants, spas, lounges or nightclubs at Wynn and Encore. 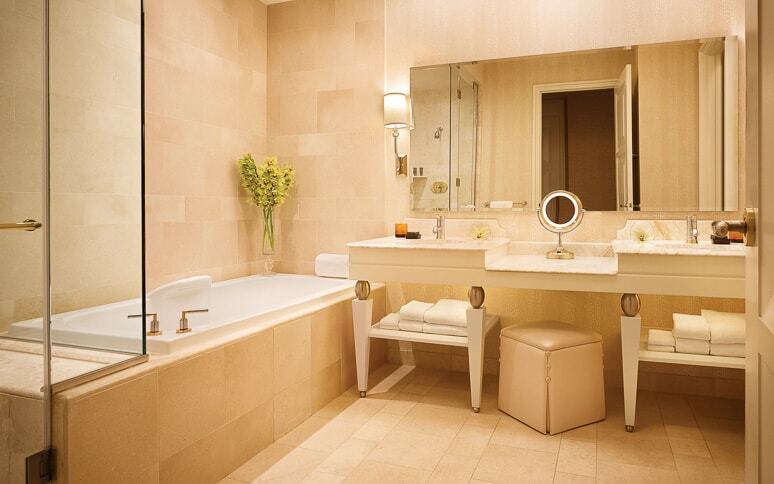 This offer includes the 10% savings you receive for being a Wynn Insider. May be cancelled up to 48 hours in advance of stay and can be reserved for a maximum of 10 nights.